Operation ‘Frankton’ is a story of how a handful of determined and resourceful men, using flimsy canoes, achieved what thousands could not by conventional means. The volunteers had enlisted for ‘Hostilities Only’ and, except for their leader, none had been in a canoe before. However, with a few months training they carried out what one German officer described as, “the outstanding commando raid of the war”. They became known as the ‘Cockleshell Heroes’, having been immortalized in a film and a book of that name in the 1950s. 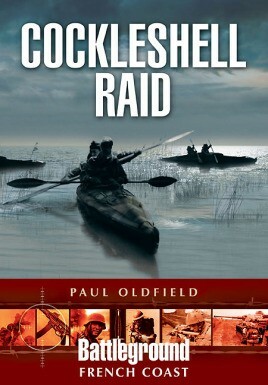 This book covers the whole of the ‘Frankton’ story including the development of the Royal Marines Boom Patrol Detachment, the planning and preparation for the raid, its aftermath and an account of the horrific war crimes inflicted on those who were captured. It also includes the epic escape by Haslar and Corporal Bill Sparks across occupied France into Spain.